We are hoping to source a unit that can control fine dust particles as well as small amounts of chemical fumes (methyl methacrylate / butyl acrylate) released from cutting, routing or gluing solid surface substances such as Corian by Du Pont. We recently had a Ministry of Labour Hygienist come in to advise us about the possibility of combustible dust explosions and she was adamant that in any system where the five elements of a dust explosion are present: 1. Confinement, 2. Oxygen, 3. Explosive material, 4. Ignition source, 5. Dispersion – the employer is obligated to ensure that the machinery used to control the dust or fumes is appropriately rated for the task to prevent the possibility of dust explosions by removing at least one of the above elements – the easiest being the ignition source: static electricity or spark. As such we are looking for an carbon filter or HEPA filter fitted unit capable of handling dust, and fume extraction while remaining a safe option for an environment with elevated levels of combustible gas. 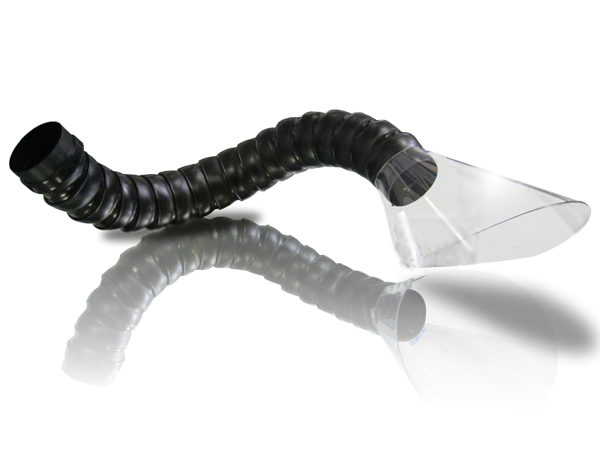 The CSA is the workhorse fume extractor of the laser industry; designed to operate in a heavy duty environment. A large pre-filter bag that is easily accessed to change via a convenient side panel eliminates much of the debris that might otherwise clog the more expensive HEPA filters. A huge chemical bed of 66Lb. (30kg) provides significant odor and VOC protection for much longer than the light duty units again providing a solution that can withstand a heavy workload. Request for a PDF for the Brushless CSA600 series, model / part number CSA 6B5-S4G-ET. Call us toll free (North America) 1-800-626-0664, outside of North America call +1-514-421-0658 or complete the contact form below.